So, yes, Near and Far actually is on its way and it will probably arrive this week. Yaaay! We’re so curious about the game since we both think Above and Below is amazing. An upcoming problem is that we don’t have a lot of time and that’s a terrible combination with a campaign game. 😉 I’m sure we’ll manage, somehow? I’m just happy that Pandemic Legacy Season 2 will be released Autumn 2017 instead of Spring. 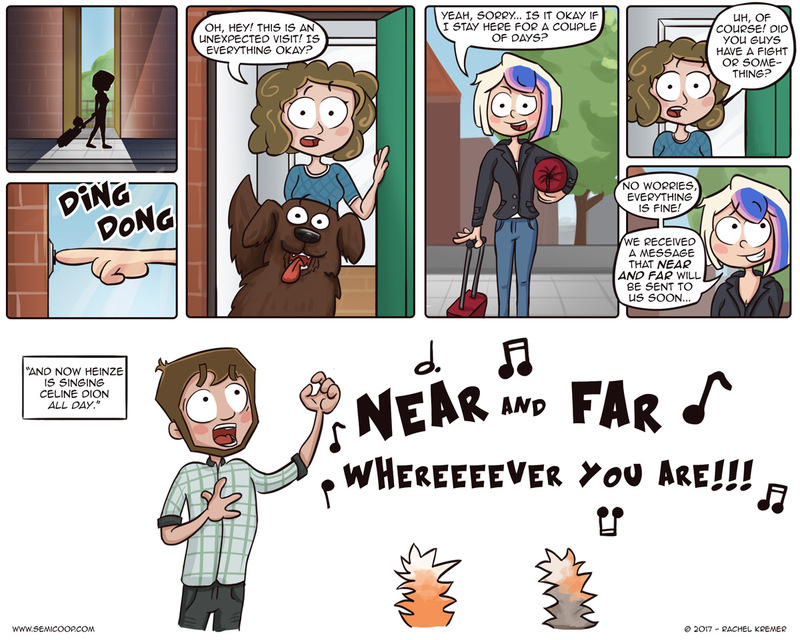 So, what board game parody song would you make? While we have had contact from the shipping company, we are still waiting on confirmation that it has shipped, but OH BOY am I excited. Maybe not excited enough to sing Celine Dion, though. it’s worth the Celine Dion. It will be that good. It’s easy with my Ticket to Ride! How about enticing friends to play Reiner Knizia’s “Ra” with Lady Gaga’s “Bad Romance”?